Ballinrobe, County Mayo, Ireland, WPH Press, 11/26/17- The thriving market town of Ballinrobe played host to the Men’s and Women’s 40×20 Irish Adult National Titles on the last weekend in November, with Ireland’s top men’s and women’s stars on hand vying for the coveted titles. Robbie McCarthy was seeking his second consecutive GAA Senior Ranking title and third 40×20 Irish Adult National title in Ballinrobe. The Buzzsaw cruised to the final with spirited two-game semifinal sweep against Tadhg O’Neil, using his supreme conditioning and anticipation and overcome the future star. Diamaid Nash continued his impressive comeback after a year away from the sport, advancing to the final when his frequent rival Charly Shanks was forced to retire in the second game of the semifinal. Very little separated junior rivals and now senior rivals McCarthy and Nash in the final, as the pair covered the court effortlessly, producing numerous 25+ shot rallies. McCarthy edged Nash in the first and stood tied at nine in game two. McCarthy and Nash traded 10 consecutive side outs at 9-all, with Nash ultimately breaking the stalemate to score six of the final seven points of the game. The tiebreaker featured a near replica of game two, as Nash’s ability to defend and re kills McCarthy’s rocket drives and kills enabled the Dubliner to gain the upper hand after being tied at four. 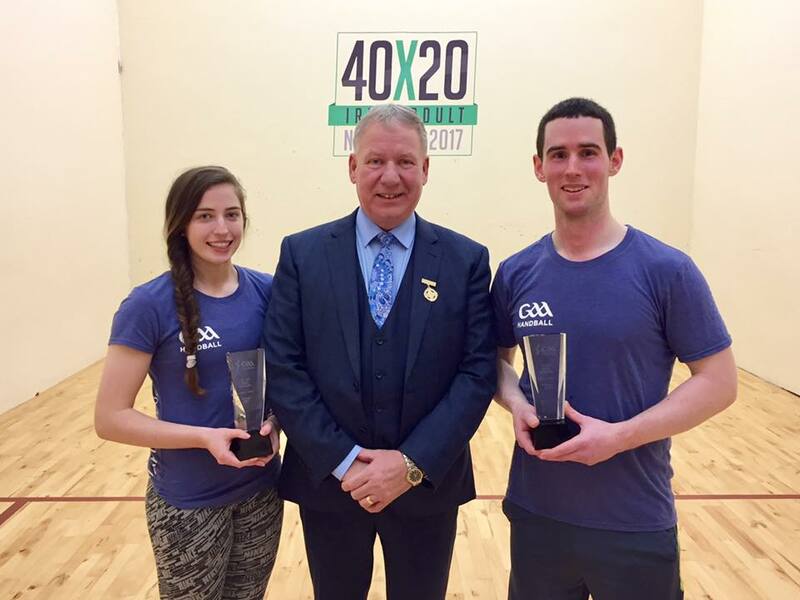 As Nash had done in game two, he took control, scoring the final seven points of the match to clinch his second 40×20 Irish Adult National title. Catriona Casey entered the 40×20 Irish Adult National titles having suffered just her second defeat in the WR48 in 14 starts just two weeks ago in Tucson and was determined to reclaim her dominance. Casey was flawless in dominating Fionna Tully in the semifinal to advance to the final. 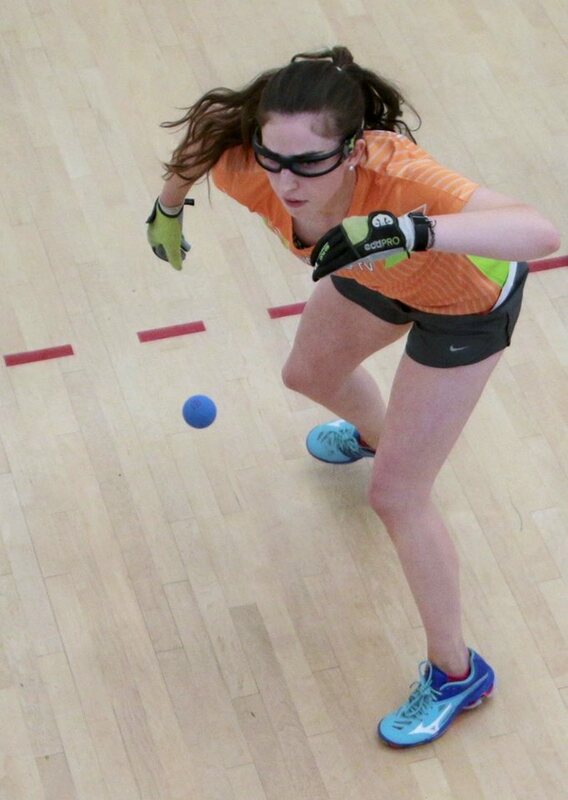 Tucson’s WR48 champion Martina McMahon faced the two-time defending world champion Aisling Reilly for the second time in less than a month in the bottom bracket semifinal, having defeated Reilly in two games in their last encounter. McMahon appeared to be unstoppable against Reilly in Reilly’s second tournament since right shoulder surgery just over a year ago, blitzing the world champ in game one. Reilly evened the match by dominating game two, setting the stage for a sensational tiebreaker. Reilly and McMahon traded the lead and momentum throughout the tiebreaker, with Reilly eventually serving for the match at 10-9. Abandoning the z serve to the right she had used throughout the tiebreaker, Reilly changed gears and hit a power serve to the right that came 10 feet off the back wall. McMahon hit a blistering pass to earn the side out and scored the final two points of the match to defeat Reilly for the second time and setup a rematch with her greatest rival, Catriona Casey. With the bitter taste of defeat still fresh in her mind from her WR48 Tucson loss two weeks ago, Casey was ruthless in her two-game sweep of the lefthander. After being outscored 30-6 in the last 36 points of the match in Tucson, Casey outscored McMahon 30-4 to claim the Irish National title. Casey outscored her semifinal and final opponents 60-6, completing one of the most dominant performances in the history of the Irish Nationals. 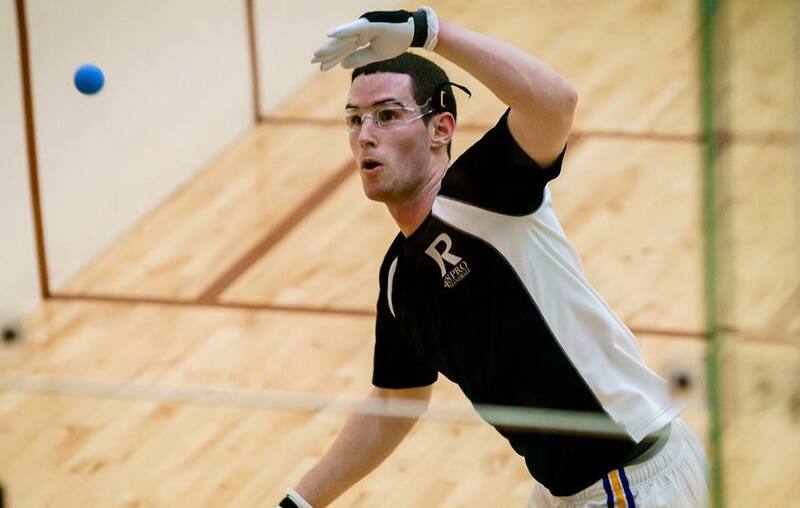 For more information on the 40×20 Irish Adult National titles, go to gaahandball.ie or Like GAA Handball on Facebook.